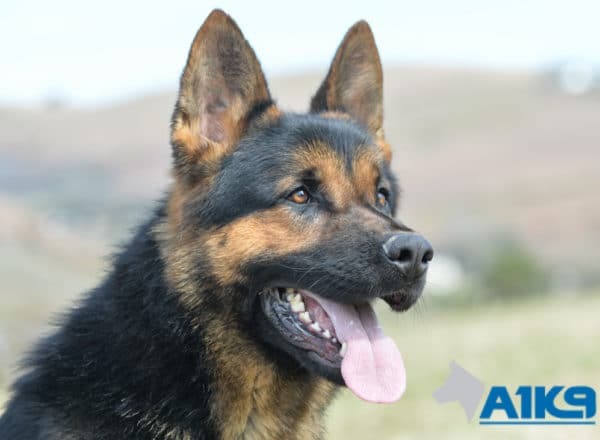 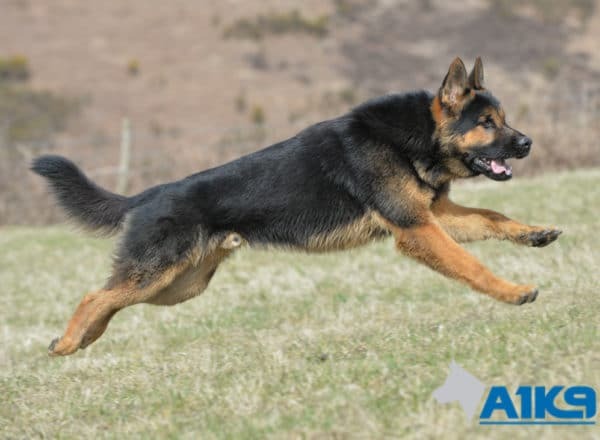 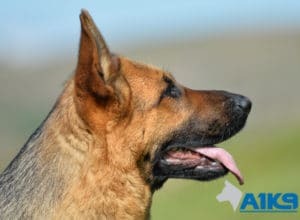 A1K9 Family Protection Dog Tenno is a very capable and tough young male dog who has been selected and imported from our colleagues in the Czech Republic, who are top working line German Shepherd breeders. 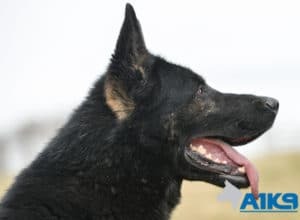 A very handsome well-built dog, Tenno has an enormous head, and looks somewhat like a young black and tan bear, but that is where the cuteness ends. 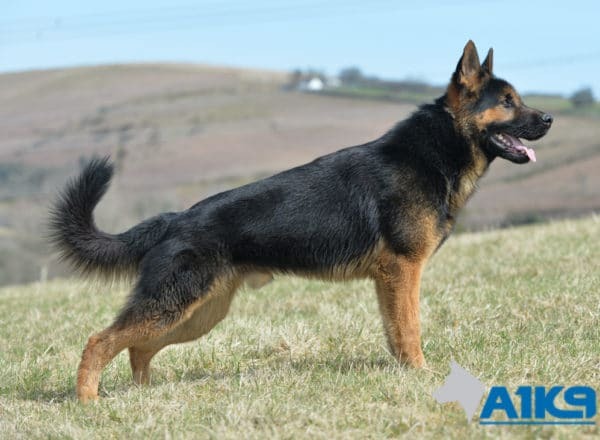 His appearance alone would deter all but the most determined, and stupid, criminals; however, those who would be stupid enough to try and test his abilities would quickly wish that they had given the idea a miss! 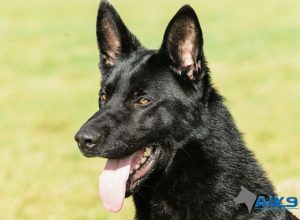 Tenno was raised in a family environment around young children, he is happy to interact with people of all ages and is super social around other dogs both males and females and he has a very impressive pedigree to match his intimidating, good looks. 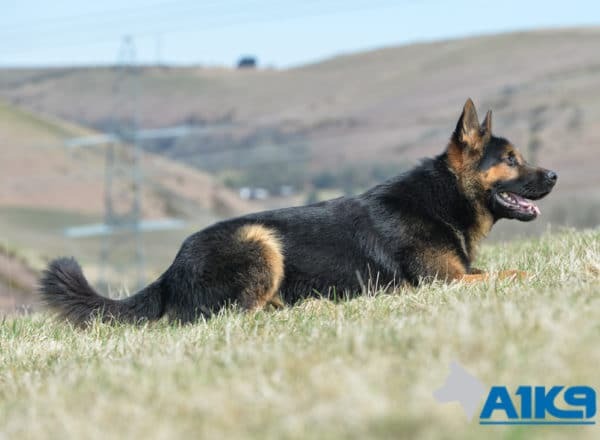 As you would expect from an A1K9 Executive Level Family Protection Dog, Tenno’s obedience is crisp and fast in all situations and his protection work is solid irrespective of the level of threat that he might have to deal with. 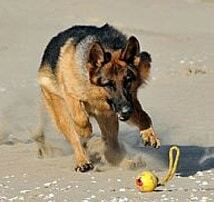 This dog is totally fearless when it comes to protecting those in his care and he is also quite territorial. 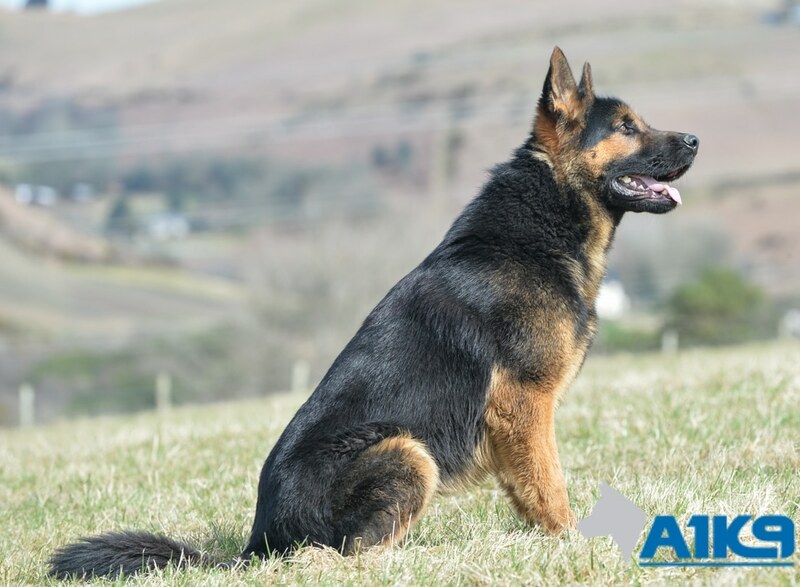 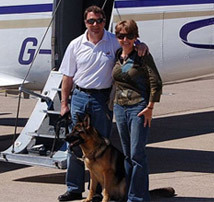 We would have no hesitation in recommending Tenno to any family looking to heighten their security in the knowledge that he would certainly keep them safe whilst also doubling as a loyal and trusted family pet. 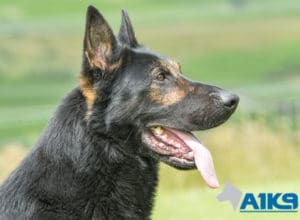 As with all of the imported dogs at A1K9 Tenno has been fully health tested and his hips and elbows have been x-rayed certified as 0/0, the best available. This is a serious protection dog and he is well on target to complete his training in the Summer time.